The residential density restriction varies depending on the proximity to the Edisto River. Basically, the closer to the river, the lower the density permitted. As you move east, away from the river, the density steps up but only to a maximum of 1 home per 25 acres. Click on image above to enlarge map and display land subject to density restriction in Dorchester County. The shaded areas above represent land that is subject to the Dorchester County Density Restrictions. Refer to the covenants for additional details. Click here to download a Dorchester County map. 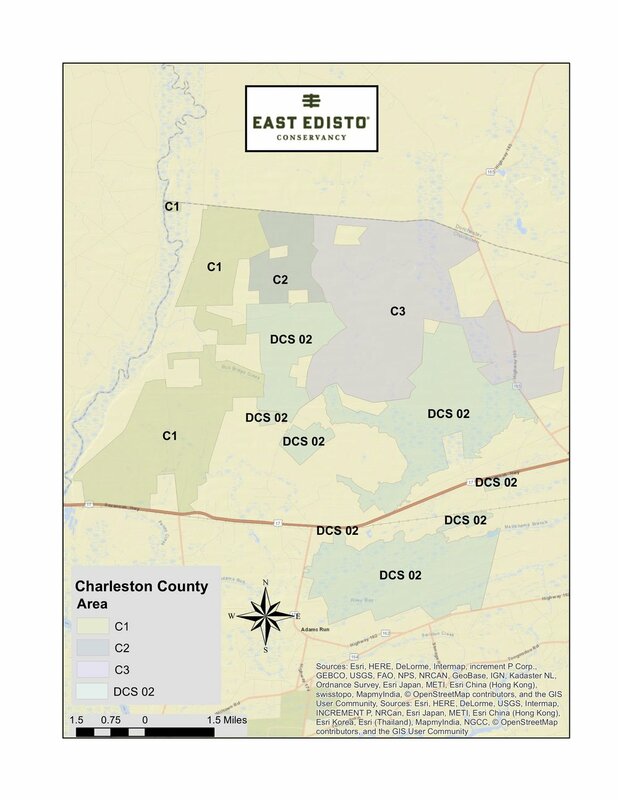 Click on image above to enlarge map and display land subject to density restriction in Charleston County. The shaded areas above represent land that is subject to the Charleston County Density Restrictions. Refer to the covenants for additional details. Click here to download a Charleston County Map.